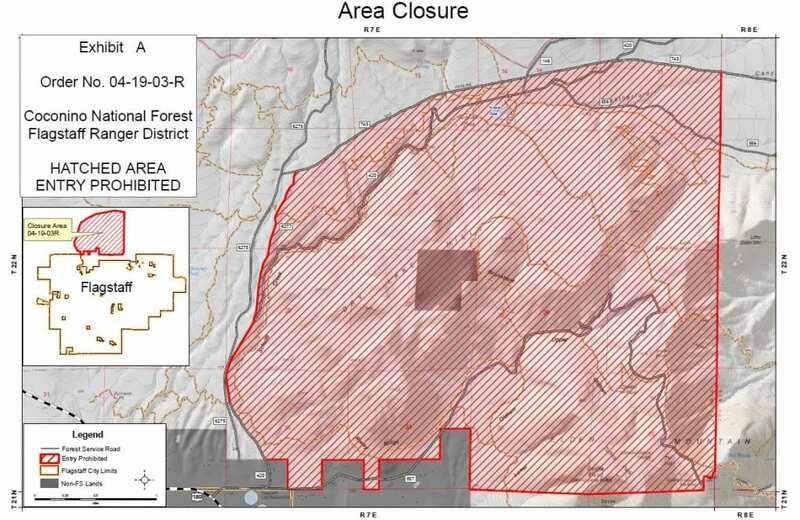 The Coconino National Forest has issued an updated press release regarding the forest closure in the Dry Lake Hills and Mount Elden areas. Please note that there is increased access for recreation in some areas, but active areas of the project are still closed for public safety! Please respect all closure signs and stay out of closed areas.